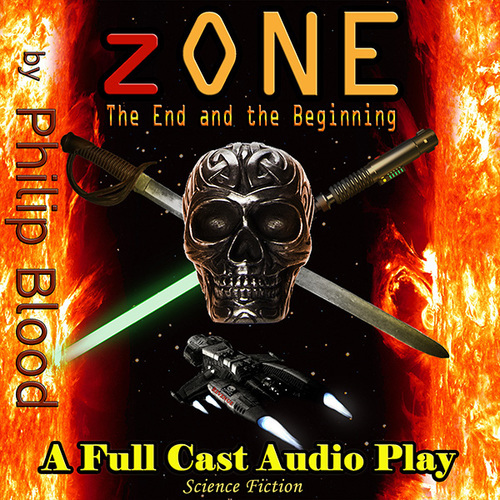 zONE: The End and the Beginning, is a Science Fiction novel I wrote which I am turning into an audio play, using many voice actors for the different parts in the story. This is based off of a single novel. The audio play will be about eighteen hours long. Most of the audio play is already recorded, with most parts added, but a major role is missing, Long John Silver. This story alternates between a future version of the real Earth, in the grip of a totalitarian government based on a technology called the Zones. The Zones are Virtual Reality worlds based on all the famous works of art from almost any medium from Star Trek to Alice in Wonderland. People enter the Zones to experience these worlds. However, it costs a lot and they are under the control of Zcerebral Inc. Then there are the hackers who gain access for free, and the best of these hackers are dubbed 'Pirates'. If they mess with Zcerebral and gain fame for their antics they can earn the name of a famous pirate from history. But the Dragoons of Zecrebral are constantly hunting the Pirates in the Zones, and back on the real Earth, Zcerebals agents, called Zombies, are are hunting the location of the Pirate's real bodies. This audio play will be completed as soon as January 2017, since most of it is completed already. Once I fill the last major role of Long John Silver, it will be nearly finished. Due to this being the final major role, I'd like whoever does Long John Silver to get the lines in as soon as possible, but within a reasonable time frame. This is a large role, and it requires that classic West Country English accent (Devon) made famous for this role in Treasure Island. 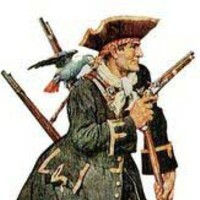 Long John Silver is, indeed, a pirate, but not the original Long John. He is a hacker, who takes on this role while in a pirate Zone. He will also need to drop this accent, at times, when he is in a different Zone (like a science fiction Zone, like Trekkie space). (EXPLAINING, IN WEST COUNTRY PIRATE ACCENT) I be looking for someone awhile back and Mary Read had some connections on Earth that helped me track him down. (SUGGESTING, IN WEST COUNTRY PIRATE ACCENT) Well, ye could try just doing a Zone search on her. (SMUGLY, IN NORMAL ENGLISH ACCENT) That will teach the Dragoons to mess with Pirate One!